It’s not easy. We have a lot to juggle. Between our children, the house, work, relationships and sanity life can leave us emotionally crippled. Especially after having children, our lives are thrown into a constant hormonal shift. Some women go through postpartum depression and often times have to seek medical help but what if your kids are a couple years old and you are just going through the day to day? You find that you wake up hopeful and at some point in the day you find yourself feeling down, fatigued or irritated. And at the end of the day you’re reeling from taking care of the kids and can’t wait to sit down after they have gone off to sleep. But once you do sit down you fall asleep. You then wake up to another day finding the same emotional roller coaster all over again. If you are on your menstrual cycle the emotions are compounded by fluctuations in your hormones. What’s even crazier is we are very aware of what we are feeling! 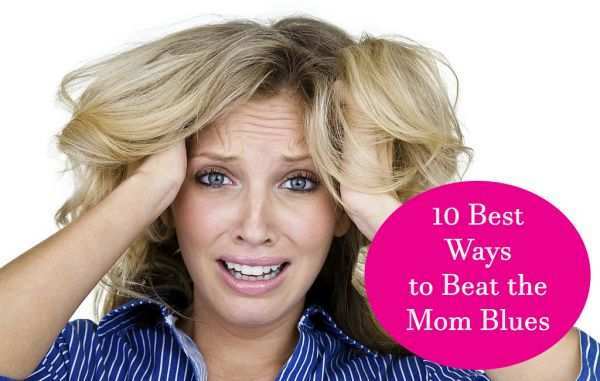 So what can we do to beat the mom blues? And I’m not talking about balance. Balance is a crap shoot. There are so many articles and videos out there outlining the importance of balance. It’s nearly impossible to obtain balance as a mom. It’s fleeting and non-realistic. 1. Deep breaths – during the day, pause and take a deep breath: when you wake up, in bathroom, in the elevator, while you’re cooking….any chance you can get. The extra oxygen to your brain will help you to focus and will level you out. 2. Walking in nature – take the kids to the local park or if they’re in school go for a short hike, run or speed walk. Research has shown being in nature soothes the mind and mitigates the effects of stress. 3. Regularly scheduled time alone – on your smart phone use your calendar app the schedule time during the week just to be alone. It can be the supermarket, coffee shop, your walk home from dropping the kids off from school, getting your nails done, etc. The blocked out time will make you aware of how you use your time and force you to schedule around it. 4. Music – music can lift the mood very quickly. Put on your favorite up beat music and just dance! If you are in the car belt out the words to your favorite song. Or if you can play an instrument schedule time to practice. Even choosing the type of music you listen to throughout the day is helpful. Start the day with Opera from Pretty Yende and end it with Guns N Roses. 5. Reading – reading helps us to escape our current reality. You’re reading right now! Carry a book (you love) with you throughout the day so you can open it when the time is right. And although reading on a smart device is easier there is nothing like flipping through a book. 6. Mom Night Out – formerly known as “girls night out,” mom night out is your chance to get together with other moms. You and your friends can get together at someone’s house to have a glass of wine, cook together, eat, watch your favorite show and more. OR you can go out to a favorite restaurant, go bowling, dancing, watch a movie or if you have the luxury spend a night away camping or glamping! 7. Regular exercise – getting up and moving your body, whether it’s dancing, walking or going to the gym will release a happy hormone in your brain called oxytocin. It will make you feel better! 8. Talk to someone – mental health is just as important as physical health. If you find that you are sad frequently or you cannot free your mind from stressful thoughts talking to someone helps. Talk to a girlfriend, your partner or seek professional help. A good therapist can do wonders. AND there is nothing to be ashamed of. You are not crazy for talking to a therapist. You are being proactive about your health and the happiness of your family (because a happy mom makes a happy home). 9. Vitamins- sometimes mom blues, fatigue or stress can be assisted by vitamins. You could be deficient in a vitamin. Many adults are deficient in vitamin B-12, which can lead to fatigue. Talk to your doctor and have a blood test done to find out if you should be taking vitamins or eating more greens! 10. Get dressed, do your hair, put on your makeup and treat yourself to some window shopping. You do not have to break the bank to feel better. Walking around the mall during your alone time, trying on clothes, trying new makeup and trying samples will make you feel better. Just the act of getting yourself together and looking pretty will make you feel like a real human again.